What does it mean if your Star Sign is Cancer? A water sign; ruled by the Moon. Emotional, group oriented, seeks security, family. → Click here to read your Cancer horoscope! Upside: Cancer have an offbeat sense of humor, often finding something humorous that others don’t. They are extremely good listeners and have a heart for the problems of others. 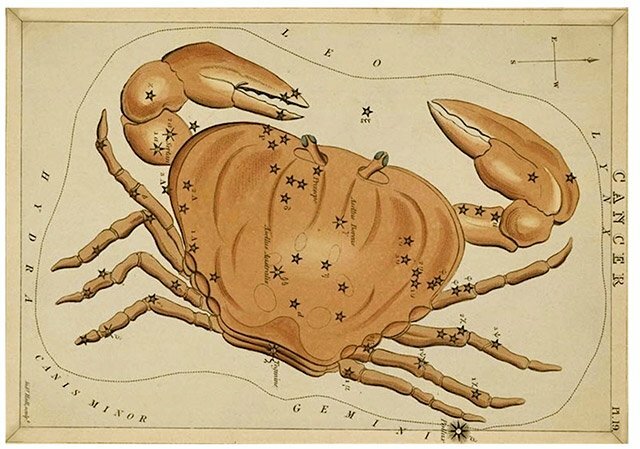 In fact, many gravitate toward this sign because they intuitively know that a Cancer will understand. When a Cancer becomes your friend you can be sure that they are truly your friend and will not consider using someone to their own benefit. Cancer tend to be dependable and reliable. They will tell you anything you want to know about them without blinking an eye as they are drawn to honesty in others as well as themselves. Downside: This sign can be moody, clingy, and often become incredibly insecure if they feel that they are about to lose the friendship or love of someone close to them. If the situation calls for it, they will lie, but often this dishonesty stems from a deep insecurity about being alone.